Utah First In The Nation To Lower Its DUI Limit To .05 Percent In 1983, Utah was the first state to lower its blood alcohol limit from 0.10 to 0.08. Now it is lowering its blood alcohol limit again, to .05 percent, just in time for New Year's Eve. Just in time for New Year's Eve, Utah lowered its blood alcohol content limit to .05 percent for drunken driving. That means about half as many drinks for a lot of people. In 1983, Utah was the first state to lower its blood alcohol limit from 0.10 to 0.08 for impaired driving. It would take nearly two decades for every state to follow suit, but as they did, the nation's rate of alcohol-related traffic deaths dropped 10 percent. Now, Utah is pioneering the move to lower it once again. Beginning Dec. 30 — yes, the day before New Year's Eve — Utahns will have to be extra careful about drinking and driving. On Sunday, the state's blood alcohol content limit will drop from 0.08 percent to 0.05 percent, marking the strictest DUI law in the country. 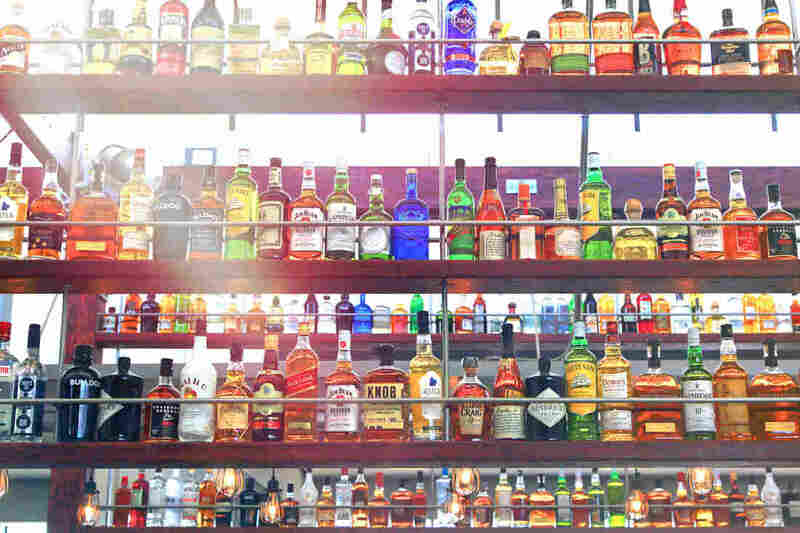 To give you an idea of the difference in consumption, for a man weighing 180 pounds, it takes about four drinks to reach a BAC of 0.08 percent, according to the American Beverage Institute. But to reach .05, it's about half as many drinks and can be even fewer for women. Still, the current limit of .08 is "a significant amount of drinking" for a lot of people, says Utah state Rep. Norm Thurston, a Republican. "You would think that we're already there as a society," but Thurston says he meets a lot of people who say they think it's safe to drink and drive, "just a little bit." The American Beverage Institute, an alcohol trade organization, has been a vocal critic of the law. Spokesman Jackson Shedelbower says he doesn't believe the change will save lives. The lower limit targets social, moderate drinkers, not "legitimately drunk drivers," he says. "Nearly 70 percent of alcohol-related fatalities in this country are caused by someone with a BAC of 0.15 and above," Shedlbower says, three times the new limit in Utah. So, will drunken driving arrests in Utah increase starting Dec. 30? Probably not, says Sgt. Nick Street with the Utah Highway Patrol. "Troopers and officers throughout the state should already be arresting based on impairment, not based on a per se limit, and that standard is not going to change," he says. Street says he believes the law has already changed drivers' behaviors, even before it went into effect. "I think people are making better decisions on the front end of a night," by using ride-hailing apps or choosing designated drivers.